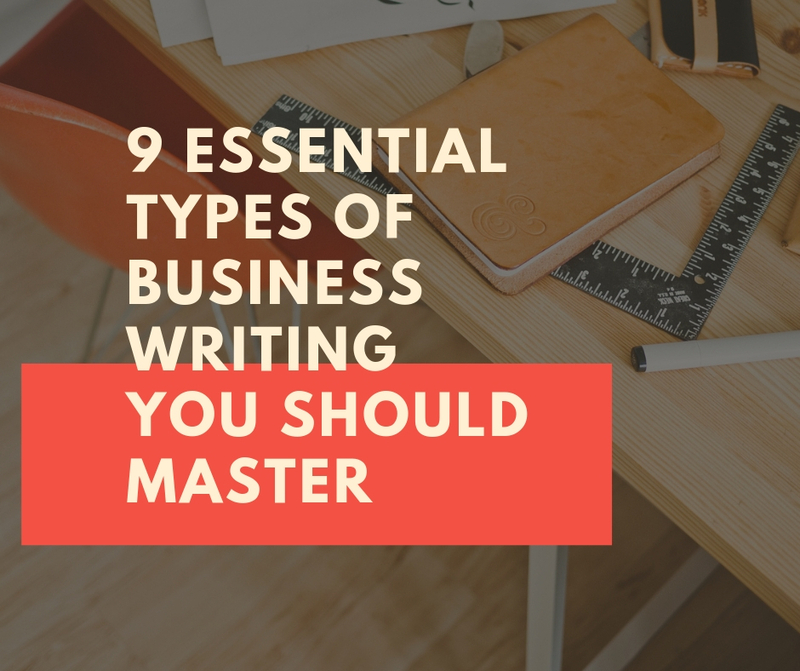 In the business world, the majority of communication is written, making it important to master business writing. Effective business writing will ensure you are clearly understood, as well as showing respect for the receiver. It will make you stand out as an intelligent, credible, and confident employee. Emails are a quick, cost-effective way to communicate with your employees, co-workers, clients and customers. They’re one of the most used methods of communication in today’s business world, so it’s important to make sure your emails make a good impression. The following tips can help you hit the mark. Write a clear subject line. Keep it short and simple. Avoid unnecessary adjectives and long-winded ways of making a point. As Amanda Goldman, synthesis essay outline writer at SolidEssay.com says, “Be ruthless about self-editing; if you don’t need a word, cut it." Avoid jargon and big words when possible. Use full words. Don’t use shorthand, emojis, or internet slang. Reports can be used to convey important information, attract investors, and set goals and plans for the future. Writing a good report can make sure your readers make it to the important stuff. In reports, formatting can be almost as important as content. Jessica Miller, APA outline expert at ConfidentWriters.com, recommends the following tips to make sure you get the right flow as well as content. Think about the who, what, where, when and why before you start writing. Use lists to pull out important information. Memos are commonly sent via email today. They can be used to make announcements, convey changes in policies or procedures, or as reminders. They can be very useful tools for a manager, when used effectively in the following ways. Write a subject line that tells the reader’s what the memo is about. Get to the point immediately. Supporting facts follow. Identify the problem and propose a solution. Employee handbooks are hugely important. They ensure everyone is on the same page as far as policies and procedures are concerned and give employees something to refer back to if they ever need to. According to Brian Wilson, HR Director at Example Papers, “making your handbook employees actually want to read can really elevate it to the next level and help ingrain those policies into their heads." Open with your company’s mission statement. Get employees excited about your core values. Rather than just telling employees what policies your company enforces, tell them why. What are the reasons behind each policy? Include perks in your handbook. Think outside the box. Make the handbook fun so employees want to read it. Internal newsletters can be used to get news to your employees that’s interesting or valuable but not necessarily time-sensitive. External newsletters can help grow your client base and garner interest, but how do you write an effective newsletter? Know your audience. What’s important to them? Choose the most important information, like product updates, changes in benefits, or job vacancies. Don’t cram in everything. Use visual elements such as photos or infographics. A press release can be a great marketing tool, especially for small businesses. It’s a free way to get your message, event, or opening into the public eye. It’s important to write an engaging one so the media will be engaged. Start with a great opening sentence and then who, what, where, when and why. Use search engine optimization keywords. Setting an agenda can make or break your business meeting. Having one keeps the meeting on track, ensures the important topics are covered first in case anyone has to leave early, and minimizes wasted time. Start simple. What time is it? Who should go? Where? Establish the objective in one or two sentences. Schedule topics from most important to least and allot time based on content. Keep it to under five topics. Never underestimate the value of a good resume. It’s often the first impression a potential employer has of you. It should be a detailed summary of your qualifications that presents you in the best light possible. The following tips by Ashley Summers, resume writer at SwiftPapers, are just a few of the most important ones you should take into consideration when writing your resume. Keep it consistent and double check spelling and grammar. The font size should be between 10-12. Focus on the job you’re applying for and highlight the skills that qualify you for it. Check your spelling and grammar again. Nothing gets a resume tossed out faster than typos. Research the company’s challenges and culture. Start with why the job is exciting to you. Be enthusiastic. Address the letter directly. You may have to do some research to find the name of the hiring manager. Customize your letter to each job. With any business writing, it’s wise to use plain language, stick to the point, and proofread, proofread, proofread. Always use a professional tone but think outside the box and try to make it something people actually want to read. Use these tips to help you master the art of business writing for your career. Author bio: Paul Bates is an experience business writer at EssayTask and PaperAdepts. He also works as a part-time editor at DedicatedWriters.